Yeah, yeah, we’re late this week. The truth is we’ve been staving off sandwiches because of a trip to the doctor’s this week, where we landed at-weight! So it’s time to celebrate, even though less-than the goal would’ve been better. 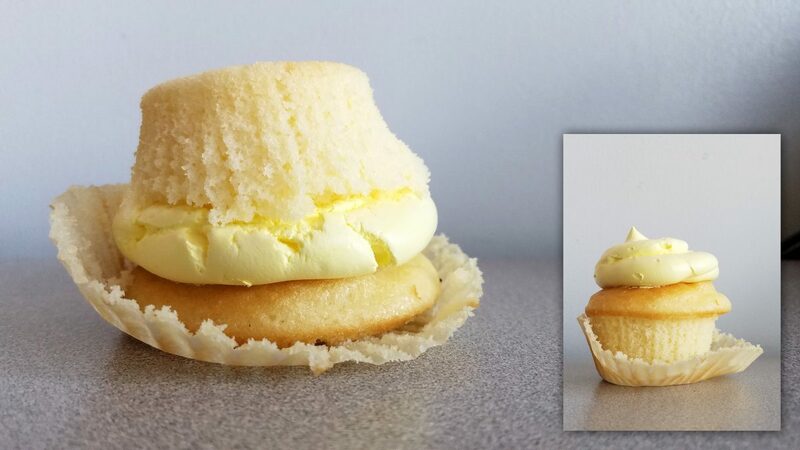 Here’s a cupcake, sandwich-ised for easy consumption. You don’t run the risk of icing on your nose or face, because you’re covering the top with the bottom. Will wonders ever cease, people? No, they surely will not.